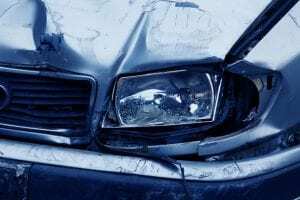 Staten Island, NY (October 10, 2018) – Authorities responded to a traffic accident that was reported to have occurred on Wednesday morning, October 10 that is believed to have resulted in injuries. The crash took place on Richmond Road in Concord during rush hour traffic. According to authorities, the incident was reported at around 7:29 a.m. The location of the accident was stated to be between Roosevelt Street and Baltic Avenue. Emergency medical professionals were immediately called to the scene where they had evaluated an unspecified number of people. While injuries are believed to have been sustained, no one was transported to the hospital at the time of the report. No more information has been made available as this is a developing story. Authorities are likely to be beginning their investigation into the crash. Before anything else, we wish to extend our sympathies to anyone who was injured during this crash. Every car accident in New York has the possibility of yielding devastating results, and it is vital to be aware of your rights following a New York collision. Each and every victim may have the right to pursue a claim for compensation if they have been hurt due to the negligence of another driver. Many drivers partake in the negligent operation of their vehicle by way of acts such as excessively speeding, DUI, and distracted driving. We here at Hach & Rose have made it our solitary obligation to hold negligent drivers liable as we provide the invaluable guidance of a New York accident attorney. Our concerned and dedicated attorneys are here for you 24/7 to answer any questions you may have following a crash. If you have been injured in a New York car accident by no fault of your own, please don’t hesitate to call 212-779-0057 today.